Moving house, remortgaging, or changing your personal circumstances? Let us help make dealing with property law easy. Buying a house can be stressful and confusing, but our team of experienced property solicitors can help to make the process smooth and simple, leaving you to focus on the important things… like how to decorate your new living room. Whether your property is your home or an investment, a studio flat or a castle, it forms the foundation of your family life and financial security. At Frances Lindsay & Co solicitors we have one of the most widely experienced and trusted property departments in the South of England, headed by our partner Hardeep Chana. Hardeep and the team are always happy to talk through any property plans you might have, so give us a call, drop us an email, or visit us at our Maidenhead or Beaconsfield offices for a chat. The buying and selling of your house can be one of most stressful events of your life. We make it our job to take that pressure away, dealing with every aspect of your property sale and conveyancing, including searches and title checks, deeds and mortgage issues, and liaising with agents – allowing you to focus on enjoying the move into your new home. Following a rigorous assessment, we have secured membership to the Law Society’s Conveyancing Quality Scheme – a mark of excellence for property solicitors, and a reflection of our commitment to providing you with the highest standard of service. As you get older you may need to plan for nursing care, either in your own home or elsewhere. Equity release can offer a reassuring answer to rising care costs. Equity release schemes allow you to free up capital from your house without actually selling it, enabling you to pay for your care while still leaving your loved ones something of value after you’ve gone. These schemes can be complex and you may need advice to ensure that you have the best scheme for you. Throughout the process we will advise and monitor your case to ensure that your best interests are protected. You can trust Frances Lindsay & Co to buy your property, or organise powers of attorney to allow someone else to look after your property should you find yourself unable to do so. Our property solicitor services are based in Maidenhead. 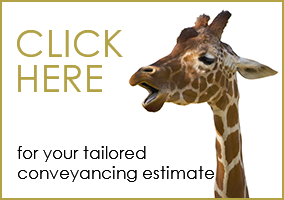 Information on the costs for our conveyancing service.